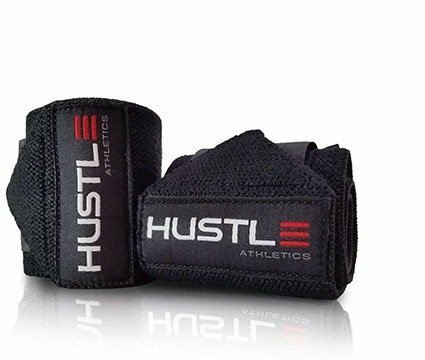 If you are serious about any kind of sport that involves grabbing metal, whether it is CrossFit, bodybuilding, weightlifting, powerlifting, calisthenics, street workout or something else entirely, wrist wraps are something that you should definitely consider. When you do consider them, you’d probably ask, what determines the best wrist wraps that are worth your money? Do You Actually Need Wrist Wraps? 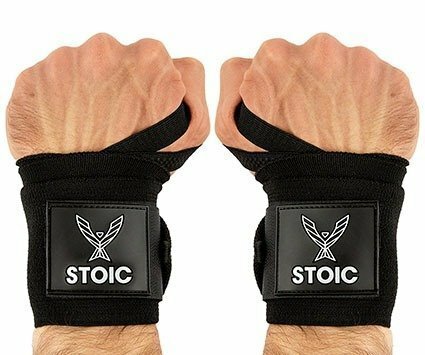 Wrist Wraps or Weightlifting Gloves? There is a huge argument among athletes whether you need wrist wraps (or gloves) or not. One party argues that you do not need any of those, that your body needs to adapt to the heavy-weight or exercises that you will be performing. The second party argues that you need them if you are going to do powerlifting or weightlifting, where your body undergoes immense load. Personally, I believe that the truth is somewhere in between. I don’t think that they are a MUST for every sport and exercise, while I do not support the opinion that they will hold your body aback. If you had a wrist / arm injury, then they will be of great help. If you are consistently working with your wrists, for example bench pressing every day or performing daily push-ups, then your body is undergoing great wrist stress and if you want to use your hands ten years from now, you should consider wrist wraps. The main difference between wrist wraps and weightlifting gloves is that the gloves offer full-hand protection, mainly from calluses. While several straps do offers this protection as well, their aim is to help you with your advanced training, both now and in the long run. However, it’s not really that simple with straps. There are several types of straps, for example lasso, figure of eight or single loop. Each is used a bit differently and for different purposes. With the differences being explained, let’s dive right into our list of best wrist wraps on the market. 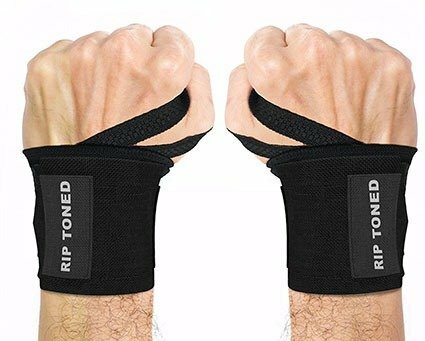 Wrist Wraps 18” by Rip Toned. The brand has been on the market for quite some time and they manufacture all kinds of equipment, including (but not limited to) weight lifting belts, wrist wraps, bracers and compression gear. They are made of professional high grade heavy-duty elastic. The Velcro length is above and up and they also come with reinforced thumb loops. The stitching is made with precision and is top quality, according to Rip Toned brand. They come with durable hook and loop strips for tighten and secure fastening. These particular wrist wraps come in six different colors and two versions: Stiff, which is meant for heavy lifting with very little flexibility and medium stiff that are more comfortable and allow better wrist flexibility. 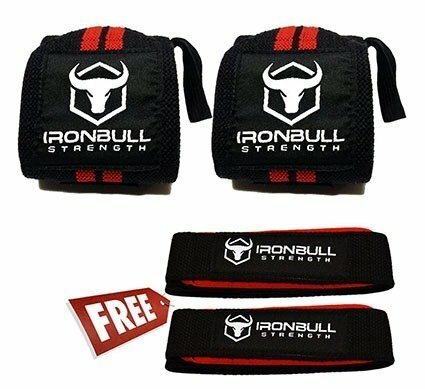 Wrist wraps by Iron Bull made it to our list of best wrist wraps on the market as well. I don’t think that Iron Bull Strength needs a special introduction. They have been on the market for a long time now and are proud manufacturers of fitness clothing and accessories. The wraps are 20”long and 3”wide, thus allowing you to adjust desired tension according to your own preferences. They are made of heavy-duty thick elastic/cotton material. The complete double-stitching increases the durability and comfort use as well. Velcro of above-standard quality is positioned precisely in the middle for secure installation. Lifting straps that come as a bonus with the wraps are 22.5”long and 1.5”wide. They are made of thick, padded neoprene for comfort use and advanced performance. Both come with 1-year no-hassle guarantee. 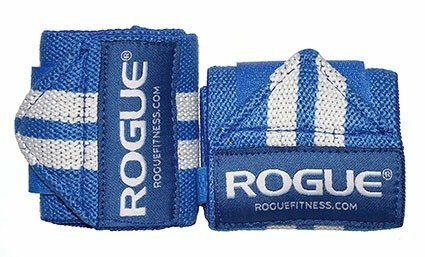 Wrist wraps by ROGUE fitness made it to the list as well. ROGUE fitness is an American brand founded in 2007. Since then they have become quite well known in the fitness equipment industry. Wrist wraps & lifting straps bundle by Nordic made it to our list of best wrist wraps that are worth your hard earned money. These particular wraps come in one universal size that should fit any person. This is backed up by a long Velcro. They are meant for women and men alike. This time, they are not made of elastic but purely from heavy duty cotton. According to the manufacturer, they are made for all kinds of training, including CrossFit, powerlifting, weightlifting and bodybuilding. Nordic Lifting offers 1-year no hassle guarantee and they come in eight different colors. Specially designed for high performance, these beauties are made of cotton, polyester and elastic. They come in two sizes, 12”and 18”‘, with an extra wide and long Velcro for comfortable adjustment. Single stitching made of a premium material (not specified). They are designed for wide variety trainings, like powerlifting, weightlifting, bodybuilding, etc. The only straps (without wraps addition) on our list. Normally, I would not include them, but they definitely deserve a spot here and I’ll tell you why. MANIMAL wrist straps are designed to last long and still keep going. Made of high quality materials (details not specified by the manufacturer), the Velcro is made of superior quality and needs to be adjusted just one at the beginning of your training. 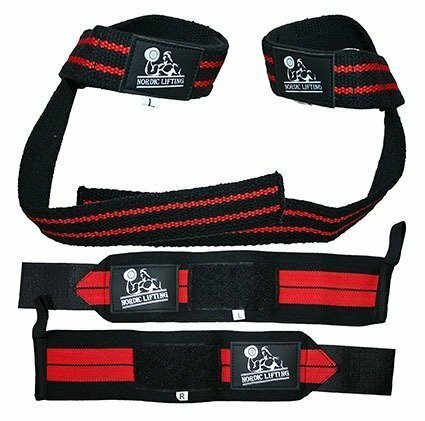 These straps are designed for all kinds of sports, like Strongman, Powerlifting, Weightlifting, CrossFit & Bodybuilding. Another thing that is noteworthy is that they are easy to wash, even in sink. The straps come in one size and eight different colors. 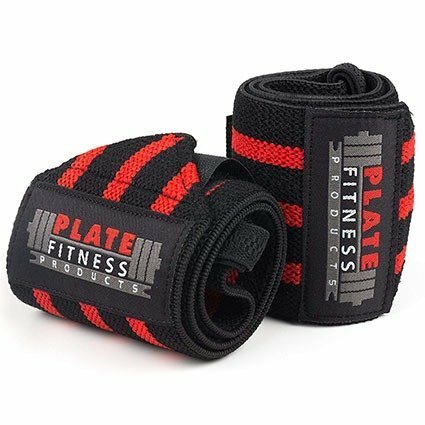 Wrist wraps by Plate Fitness Products also made it to our list of best wrist wraps on the market. PFP wrist wraps are made for all kinds of training and for both, women and men. With the maximum of 21”- they provide only one size, which should fit everyone. They are embedded with reinforced stitching and elastic thumb loop. Plate Fitness Products did not save money and added commercial quality Velcro. Also, Plate Fitness Products offer the very rare lifetime, return policy. Last, but not least pair of wraps that made it to our list is the wrist wrap pair by Stoic. These beauties are made of high-grade nylon materials instead of cotton. According to the manufacturer, they are built to last and should withstand the most extreme heavy weightlifting. The warranty is mentioned, but not specified by the manufacturer. They come in three sizes: 18”, 24”& 36” and are available in two colors. That’s it. 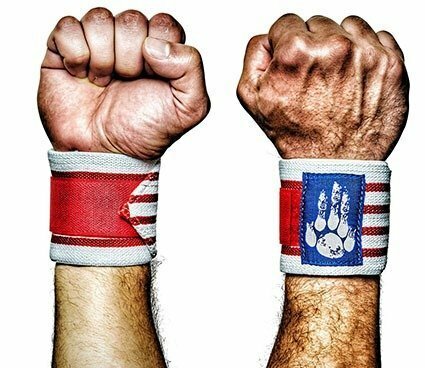 This concludes our list of the best wrist wraps on the market that are totally worth your money. Don’t forget to check if the size fits your wrists if you are satisfied with the provided materials. I hope that my list was useful to you and good luck with your training.